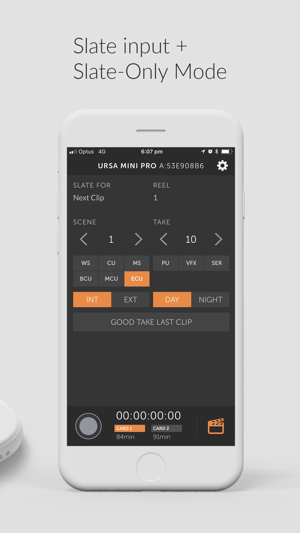 Connect to your Ursa Mini Pro and Pocket Cinema Camera 4K right from your iPhone or iPad in one universal app. 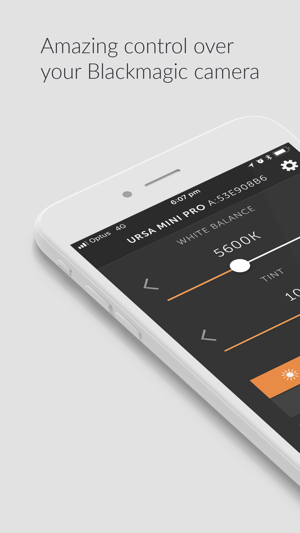 You can now pull focus wirelessly right from your iPhone or iPad. There are some limitations outlined below. 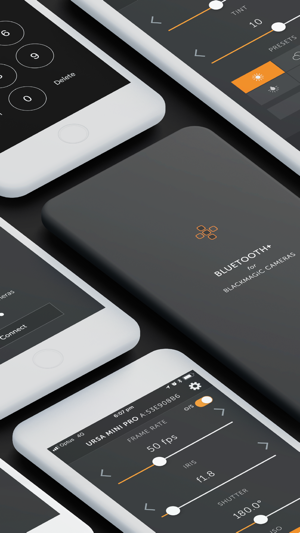 - Due to the nature of bluetooth, focus pulls may not be 100% smooth. It works well for nice slow pulls, but fast pulls my not feel entirely natural and organic. Unfortunately this is a limitation of the available technology. 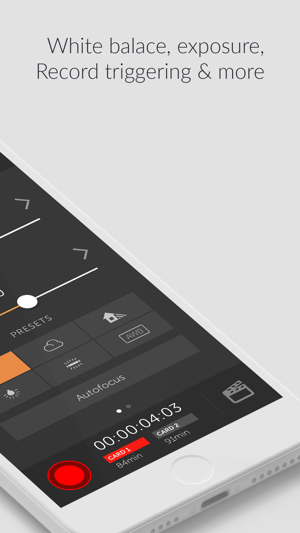 As the name suggests, this feature locks the app into Slate-Only mode, without the ability to change critical camera settings or start/stop recording. This means you can let an assistant keep metadata up to date without the fear of interfering with important camera settings. Introducing Follow Focus - wirelessly pull focus on your Pocket 4K with supported focus-by-wire lenses. 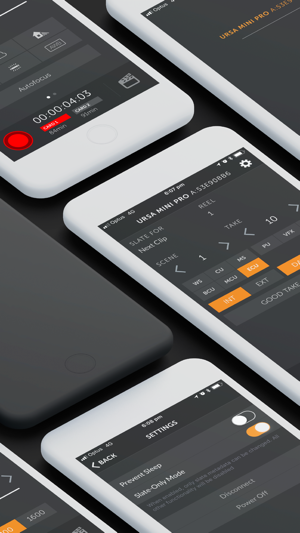 Also fixes a bug where users would not be able to stop recording when recording to an SSD on the Pocket 4K. Just checking in to see if an update might be coming regarding focus pulling controls. Would be super helpful still! Even as a paid add on. Thanks! 2 - if the focus screen could react to slides on a wider surface area, possibly the entire screen that would be helpful for eyes-off operation of the focus pull. The current slider is so tiny that if I am not looking it is easy to miss. Otherwise the app is fantastic, been a real life saver. If the functionality ever makes monitoring possible this would be the biggest thing since sliced bread. Thanks for the review and the suggestions! The app out of the box is very good and convenient. The design and layout is easy to follow and intuitive. So far the only problem I have is trying to manually dial in the shutter speed. If you use the left/right arrows, they toggle between shutter values EXCEPT the most important and most used shutter speed of 1/48. It is virtually impossible for me to manually dial in a 1/48 shutter speed. I have to do that in camera. Another feature that would really help is if they allow for adding letters to scenes (i.e. scene 3a, 3b, 3c etc.) Currently only allows to slate scene with numbers only (3,4,5 etc) Hopefully a future update can address these issues. (OLD)There's an issue with my bmpcc4k. When I'm shooting 120 fps, the record button the app work for the start of the recording but not for ending the recording. This is a big issue when using a slider because I have to chace the camera in order to manually stop recording.